Although perhaps from different perspectives, New Zealander Bert Munro, of “The World’s Fastest Indian” fame, and the late Charlie Mahoney of Campbellford, Ontario, have a lot in common. They are both renowned world-wide for their association with Indian motorcycles. Both are looked upon with the utmost respect and both enjoy justly deserved, iconic stature in the world of motorcycles. Each year, for the past 24 years, on the July 1st weekend, the small community of Trent Hills – Campbellford has played host to an eclectic gathering of motorcyclists numbering in the hundreds. They gather at what continues to be a Mecca to honour one man, “Indian” Charlie Mahoney. The annual gathering is rightly named Indian Charlie Days. Charlie’s reputation and personality were a powerful magnet that drew Indian motorcycle enthusiasts in particular, and motorcyclists in general, from all parts of North America and beyond. Charlie’s motorcycling story begins around 1926, when he was just six years old. He would ride on the back of his dad’s 1914 Excelsior, thrilled, but hanging on for dear life! At 17, he bought a dismantled motorcycle that cost his dad $100. 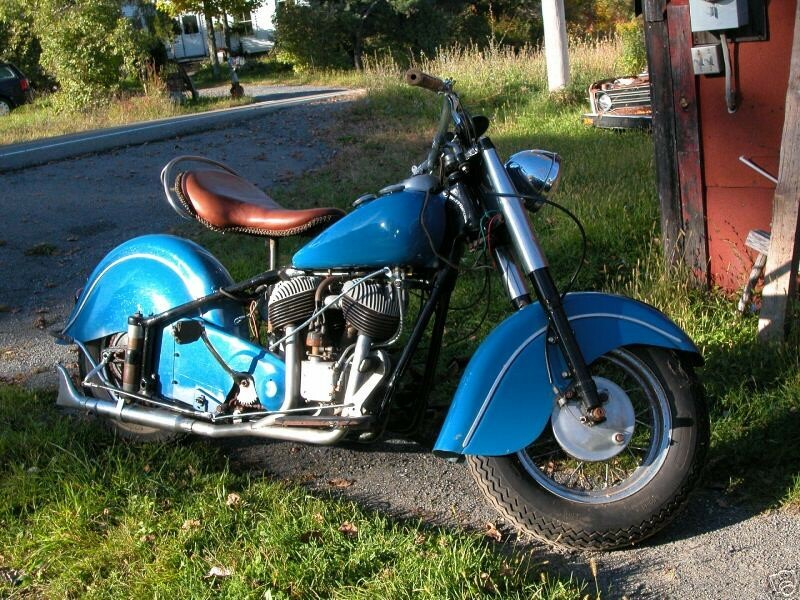 The basket case was a 1929 Indian four. “I put it together and rode it for a long time,” said Charlie. Unknowingly, with that project, Charlie embarked on a journey with Indian motorcycles that would continue for more than six decades, leading to his legendary status. 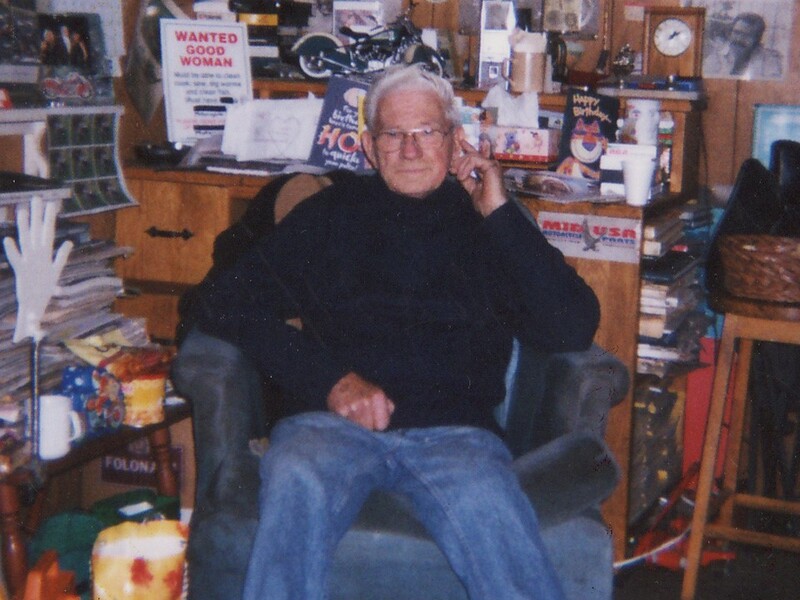 His keen interest in and apparent natural aptitude for anything mechanical, along with his passion for motorcycles, especially Indians, had by the late 1940s evolved into a career in motorcycle sales, repair and restoration. 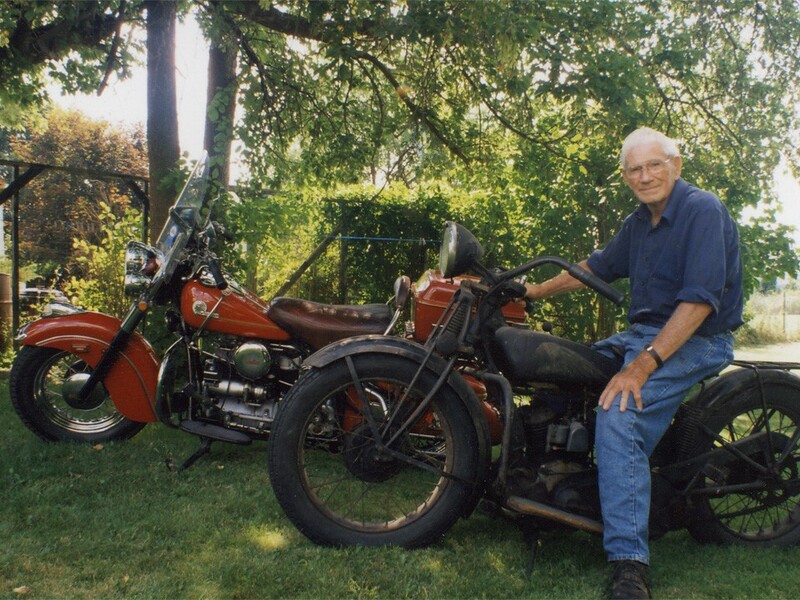 For six decades Charlie’s life would centre around his family and motorcycles. At various times in his working career he was a teacher, an engineer, grist mill worker, and radio and television repairman. 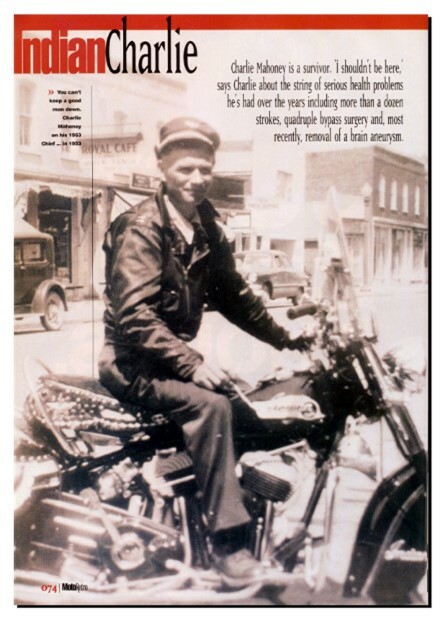 But above and beyond that he raced, restored, built and promoted motorcycles, and most notably Indian motorcycles. Almost inevitably, somewhere along the way he picked up the name “Indian Charlie”, but no one including himself seemed to know exactly where it came from. The Indian motorcycle was manufactured from 1901 until 1953, when the company went out of business. By that time, with his expertise on Indian motorcycles, Charlie had established his now legendary status as “the Indian Man”. In about 1983, the mayor of Campbellford, Hector McMillan Sr., father of the current mayor, asked Charlie if he would encourage a few of his Indian rider friends and customers to take part in a Canada Day event that was being held downtown. Afterward they all returned to Charlie’s place for a social gathering which was somewhat larger than the customary get together that Charlie hosted bi-weekly. Charlie and everyone else enjoyed the occasion so much that with the help of his daughter Mary Jo, he held it again each year thereafter and it soon became a highly popular annual affair. The annual gathering quickly became too big for the downtown core so it was moved to the green space beside the Trent Canal, just opposite Charlie’s place. Town councillor Mrs. Kelleher-McKennan once remarked: “Charlie is the best ambassador this town ever had…people just idolized him”. Joe Nestoruk, a Trent Hills native and past president of the Quinte Section of CVMG , who for years worked closely with Charlie and Mary Jo on many of the Indian Charlie Days, said, “The informal gathering of kindred spirits became a huge draw because Charlie was such a nice guy, an approachable person who knew a lot about Indians and motorcycles in general. Long after he retired, he continued to repair bikes, and not charge anything for the service”. 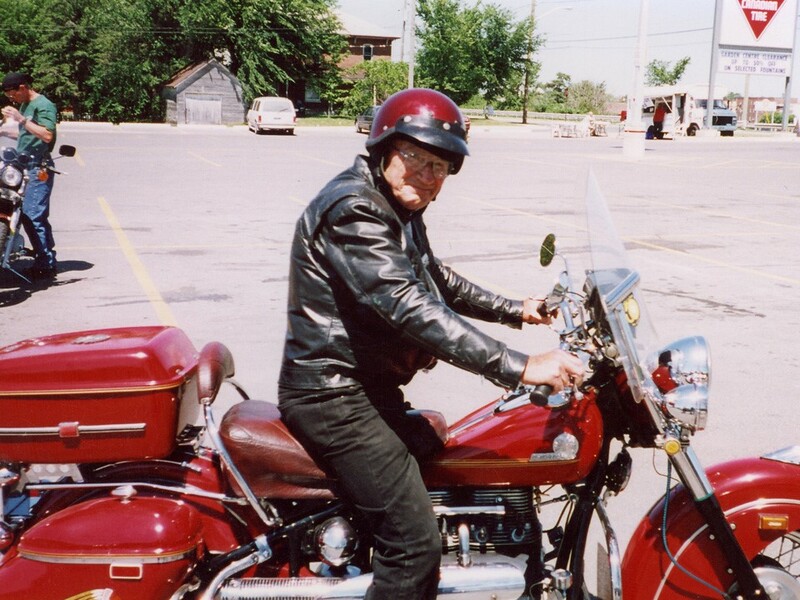 In recognition of his longstanding promotional efforts with Indian Charlie Days, and overall generosity, Charlie Mahoney became the first person to be named an honourary life member of the Canadian Vintage Motorcycle Group or CVMG. On Hwy 30 just before you reach the town of Campbellford, there are a couple of car dealerships, and a sign you can’t miss that simply says, “Indian”. Just beyond the sign near the Mahoney house, and at the end of the driveway is an unusual log cabin style shop. It was here that Charlie repaired and restored Indians and other bikes, and for 10 years was the location for his Honda dealership. In the shop is an old wood stove and some comfortable chairs. With a log or two on the fire, it is here that generations of friends and enthusiasts gathered and those priceless motorcycle yarns and stories were spun. The shop is surrounded with his personal collection of Indian mementos accumulated over the years. Its walls are lined with more than 70 awards, including many from Indian Rally Days in the company’s old home town of Springfield, Mass. For 22 consecutive years he would make an annual pilgrimage to the Indian museum in Springfield. Charlie was also the recipient of the Canadian Riders Motorcycle Award of Excellence, also known as the Maxx Award, for his efforts in organizing Campbellford’s own Indian Days. Among the hundreds of Indians that Charlie built and restored over the years, the one of which he is most proud is the 1914 Indian twin that took the “First in Show” award at Daytona. Examples of his meticulous craftsmanship can be found in private collections and museums throughout North America and beyond. 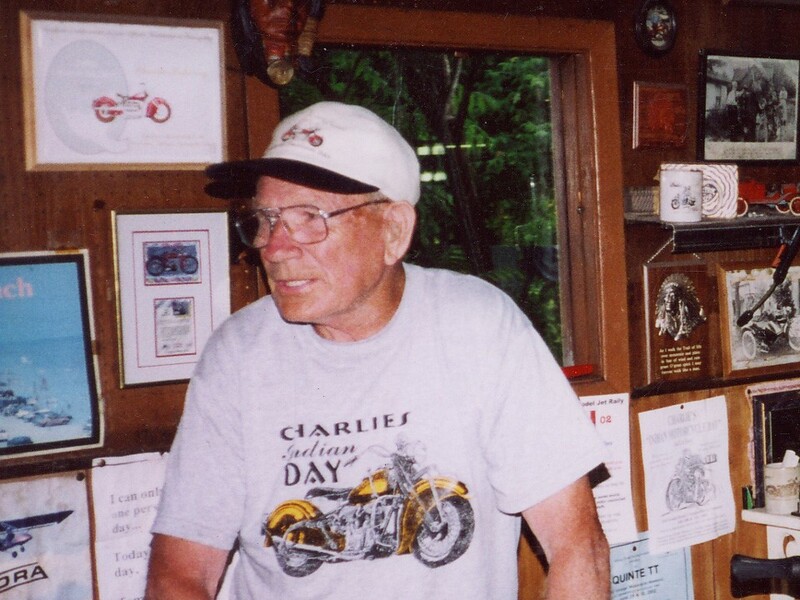 Charlie rode well into his eighties, until his death in 2004. Weather permitting, he would ride every weekend. He had always owned Indian motorcycles, and two of his personal favourites were the 1940 four cylinder and the 1953 Indian Chief V-twin. Wherever he went, heads would turn and conversations and friendly banter would ensue, inspired by his new-looking restored Indian motorcycles. Charlie Mahoney has been the subject of countless magazine and newspaper articles. He was also the subject of a Canadian Film Board documentary. As mentioned earlier, Charlie Mahoney was touted as “the best ambassador the town of Campbellford ever had”. Charles “Iron Chief” Mahoney passed away in 2004.